Lisa Laporte highlights leadership skills you can work on improving to enhance your career. Leaders have a unique set of skills that make them a cut above the rest, but that does not mean there is no room for improvement. Leadership is something that has to be constantly honed and developed in order to become effective. It is also very difficult because of the skill set that is required to separate one from the rest of the crowd. However, with enough repetition and application, anyone can become a successful leader. It is all a matter of whether or not one has the drive and work ethic to make it work. 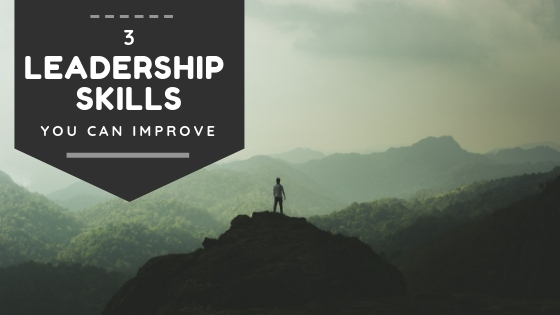 Here are everyday leadership skills you can improve. Being a leader means that you will be in charge of others and the team that you’re working around. That means you’ll often be tasked with giving feedback on how productive your team members are. You should acknowledge that giving feedback entails active listening as well. Many people react to feedback, positive or negative, in a variety of ways, so be prepared to be mindful of this and adapt to the responses that you hear. With any feedback, the most important thing you should remember is to be honest. Of course, you should acknowledge that your performance as a leader may also come under judgment and may come from your fellow peers or your own team. You should develop the ability to give feedback to others but be able to receive it as well by soliciting the feedback yourself. As a leader, you will also be looked up to as a trusted figure. With each interaction you have, put yourself in the position of those you are communicating with and ask if you give off the appearance of a person that can be trusted and respected. Being intelligent and having great leadership skills mean nothing if people cannot trust you in the moment of truth. Trust when broken is not easily restored, after all. The ability to listen more than you speak and understanding the perspective of those you work with is so vital because it incorporates all of the other skills leaders should develop. Having this skill also shows that you have the uncanny ability to bring people together. Being able to relate to the people you’re leading helps create greater trust and shows that you genuinely want to do the best that you can.